If you’re a smoked beer fan, you will love this one! The cherry wood brings a lot of nice flavor profiles to this beer. 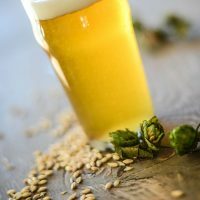 It’s balanced nicely by adding hops that are low in alpha acids (hop bitterness is not get along with the phenolic character of smoke) and honey malt to add sweetness. 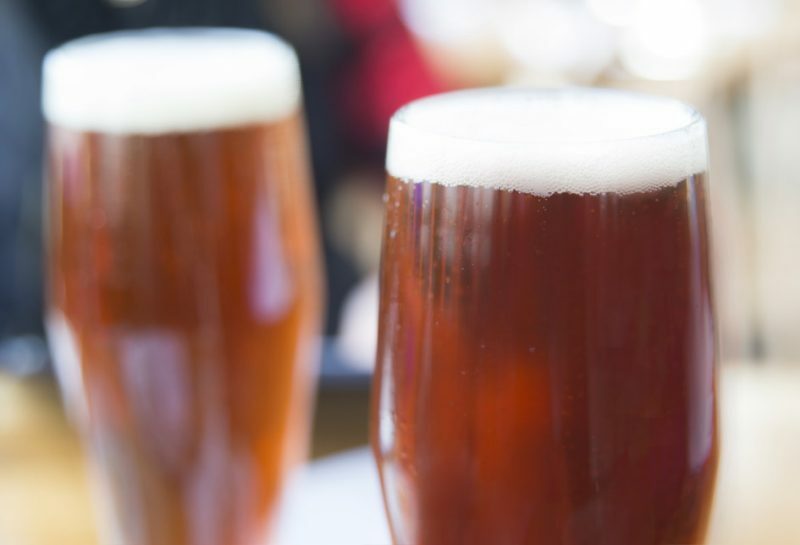 This beer was named after the late owner of Briess Malt & Ingredients Company, Roger Briess. This beer is a great reason to celebrate his enthusiasm. Enjoy! A step infusion mash is employed to mash the grains. Add 11 quarts (10.5 L) of 140 °F (60 °C) water to the crushed grain, stir, stabilize and hold the temperature at 132 °F (53 °C) for 30 minutes. Add 5.5 quarts (5.2 L) of boiling water and add heat to bring temperature up to 155 °F (68 °C) and hold for about 30 minutes. Raise temperature to 167 °F (75 °C), lauter and sparge with 3.5 gallons (13.5 L) of 170 °F (77 °C) water. Collect about 6 gallons (23 L) of runoff. 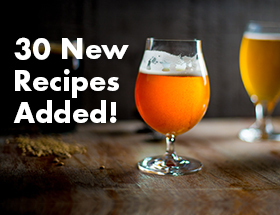 Add 60-minute hops and bring to a full and vigorous boil. The total boil time will be 60 minutes. When 20 mintues remain, add the German Hallertauer hops. When 10 minutes remain, add the Irish moss. When 1 minute remains, add both the French Strisselspalt and Mt. Hood hops. After a total wort boil of 60 minutes, turn off the heat and place the pot (with cover on) in a running cold water bath for 30 minutes. 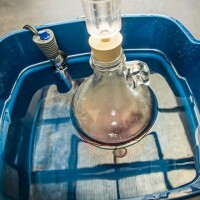 Continue to chill in the immersion or use other methods to chill your wort. Strain and sparge the wort into a sanitized fermenter. Bring the total volume to 5.5 gallons (21 L) with additional cold water if necessary. Aerate the wort very well. Pitch the yeast when temperature of wort is about 70 °F (21 °C). Once visible signs of fermentation are evident, ferment at temperatures of about 55 °F (12.5 °C) for about one week or when fermentation shows signs of calm and stopping. Rack from your primary to a secondary and add the hop pellets for dry hopping. If you have the capability, “lager” the beer at temperatures between 35-45 °F (1.5-7 °C) for 3-6 weeks. Prime with sugar and bottle or keg when complete.